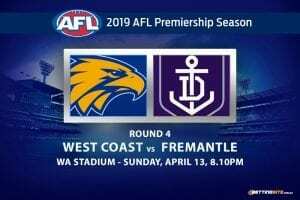 West Coast Eagles: $8.00 – Do the Eagles represent value for back-to-back? 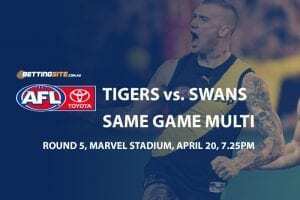 The 2018 AFL Grand Final re-match is scheduled to take place on a perfect Saturday night for football. 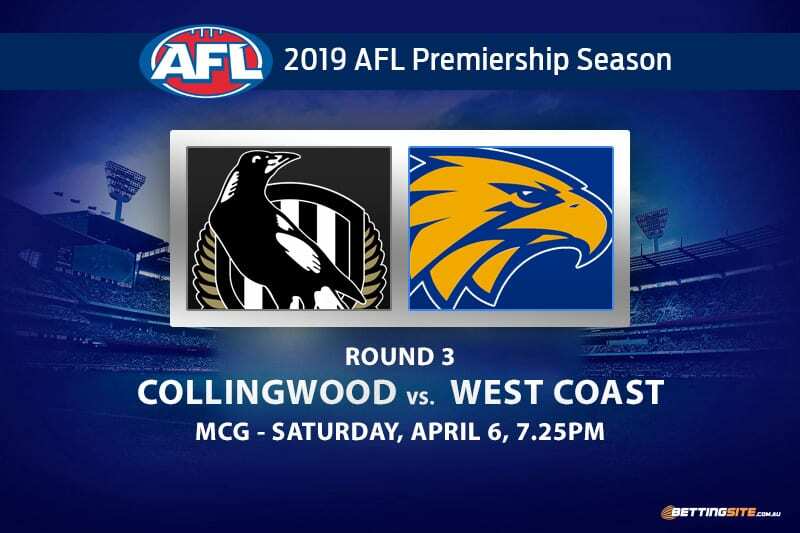 When the Collingwood Magpies and the West Coast Eagles battle this Saturday, it will be the fourth time in 12 weeks of footy they have clashed. Not only did the Eagles famously win the Grand Final, they also beat Collingwood in round 17 and the Qualifying Final last season. After losing to the Eagles three times in one year, Collingwood have welcomed back players from injury and recruited specifically to bolster their arial presence. Jordan Roughead is a crucial inclusion for the Magpies at full-back, taking plenty of marks and keeping the best forwards quiet. Darcy Moore has also made a great recovery from his hamstring issues and looks like an All Australian defender. The Eagles also have an inclusion up their sleeve as Andrew Gaff comes back from his suspension, which cost him a spot in the premiership side. 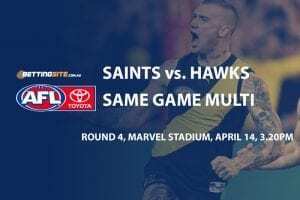 Neither team looks to have lost any ground since the Grand Final and will provide the footy world with one of the great Saturday night encounters. Adam Treloar to get 35 Disposals @ $2.37: – Is there a bonus available for this wager? No midfielder for the Magpies has found the footy as often as Adam Treloar in 2019, who has the second highest disposal average in the league with 36. If Adam Treloar gets no attention from the Eagles, he will run rampant in the midfield, hopefully enough to tally a lofty disposal count. Treloar hasn’t played footy this well since he came to the Pies back in 2016, mainly because he is finally free of injury. Yet to have a solid match in the first two rounds, Redden looms as an underrated player that could be the difference in this match. Redden found the footy 30, 32 and 21 times in the three matches last season, with his worst match being the Grand Final. If the Magpies don’t give Redden the respect he deserves around the contest, he will have plenty of possessions by the night’s conclusion. After kicking 17 goals last week against the Tigers, you can expect the Magpies to fire again. 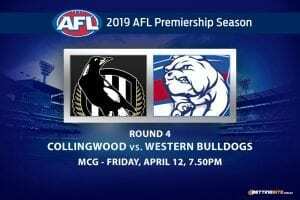 Jordan de Goey is a once-in-a-generation talent that continues to grow each week, kicking a bag of five in round two, de Goey could do so again against the Eagles. Jaidyn Stephenson was prolific in the first quarter of the Grand Final, kicking two brilliant goals, but faded out of the match late. Stephenson will want to give a four-quarter performance this week and kick a bag himself. West Coast Eagles Total Goals Over/Under (10.5) – Over @ $1.79: – Which bookie offers the best West Coast odds? One stadium that the Eagles did not lose a match at last season was the MCG. 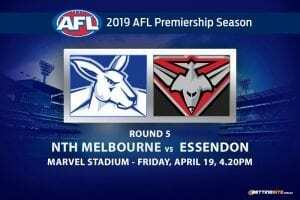 When Jack Darling and Josh Kennedy line up at the home of football, they will hold no fears and will be confident of causing Collingwood a whole new world of pain. With the long list of quality forwards the Eagles possess, it would be an incredible feat for the Pies to keep them under 11 goals for the day. Oscar Allen is a young forward who has kicked five goals in the opening fortnight, a very good tally so far. Any player could fire on the day and kick a bag for West Coast, which is what makes the club so dangerous and successful. A fast start to the match is what the Magpies’ head coach, Nathan Buckley, expects each week. If the forwards are moving well and the midfield provides good supply inside 50, the Pies will most definitely be the first team to 50 points. 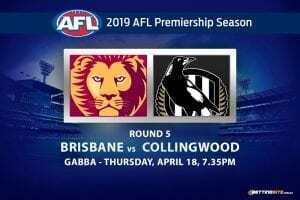 We expect the inclusion of Darcy Moore, Jordan Roughead, Dayne Beams and Jamie Elliot will give Collingwood more potency than the last time these two sides met, giving Collingwood a clear edge on their home deck.